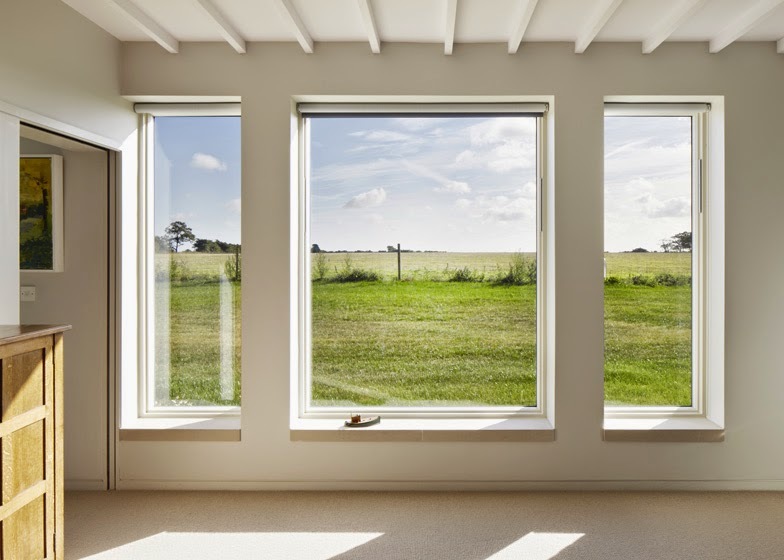 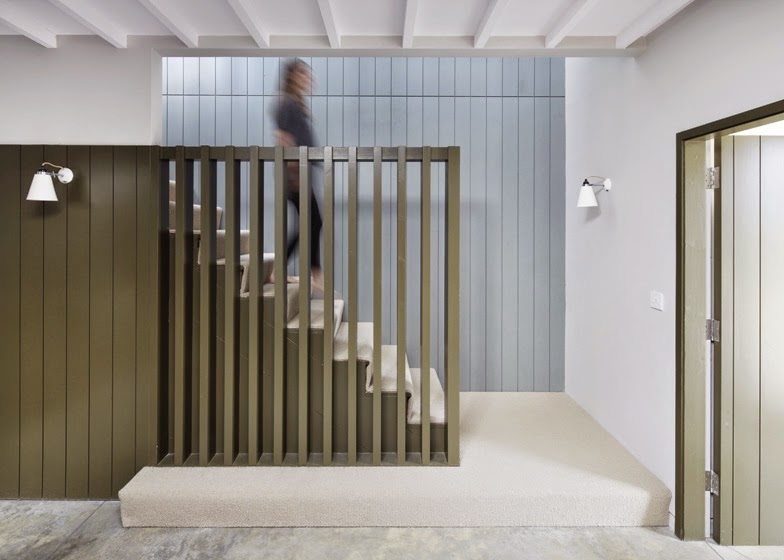 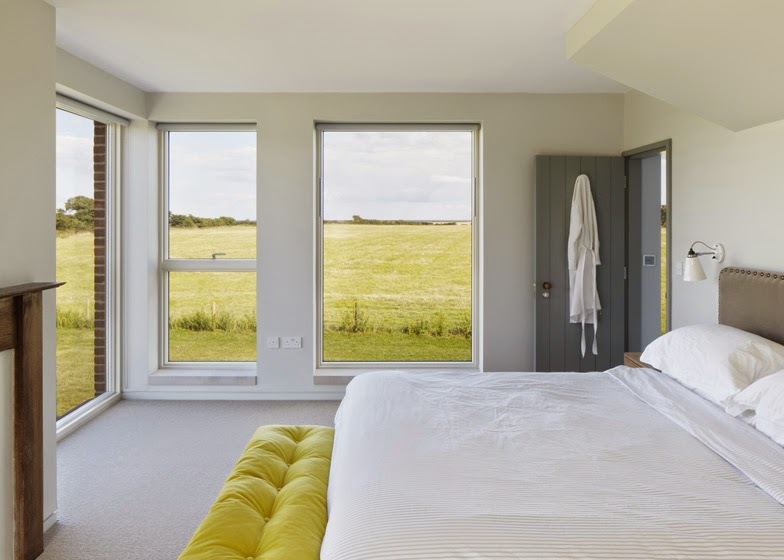 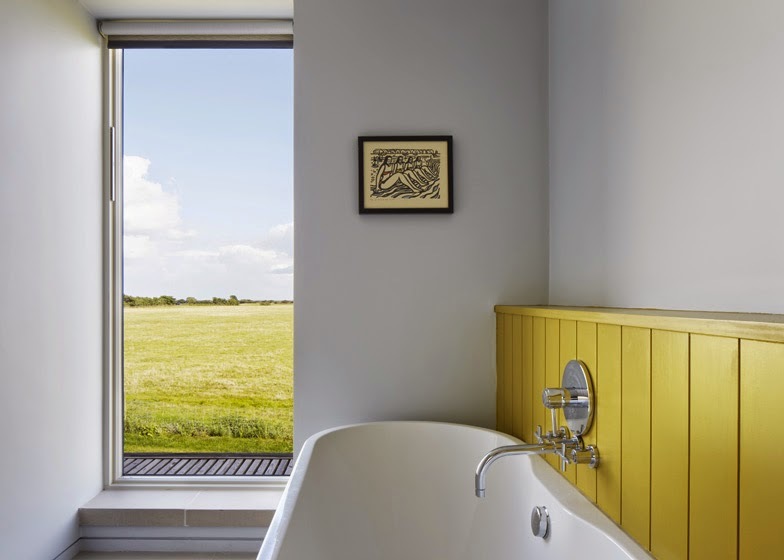 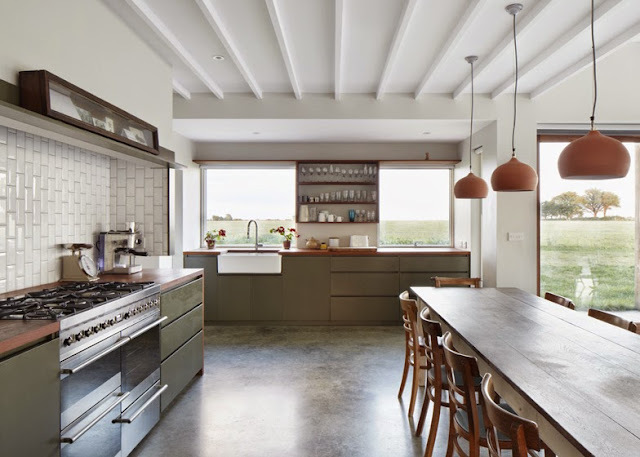 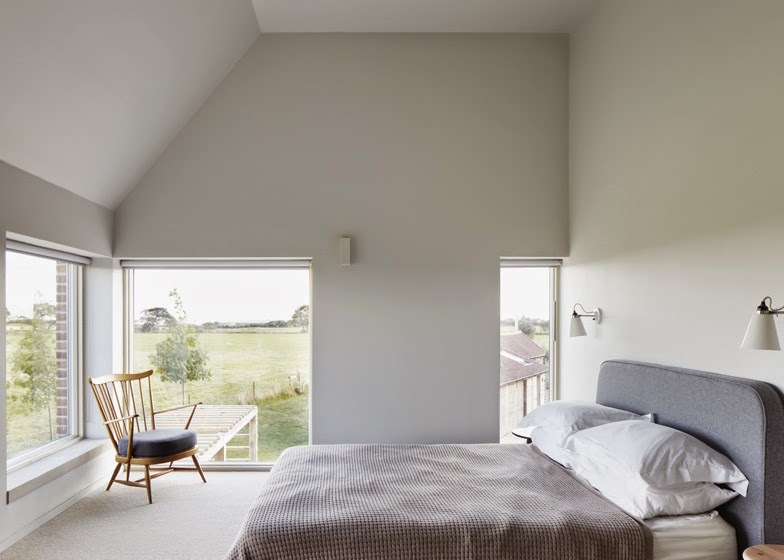 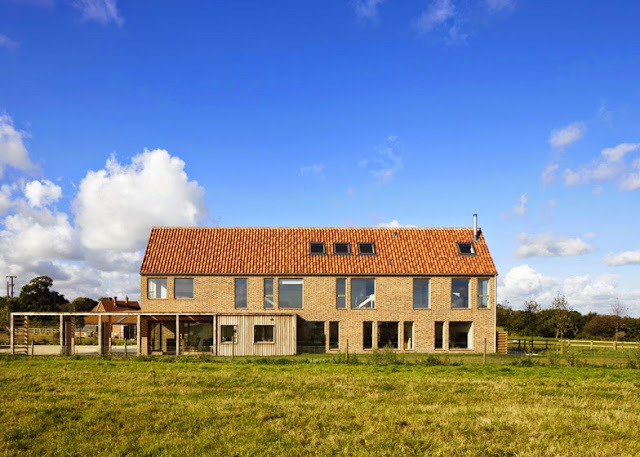 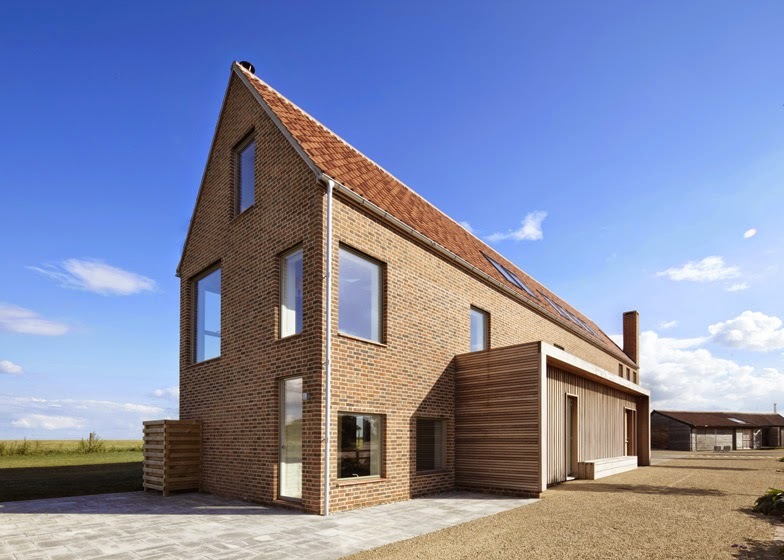 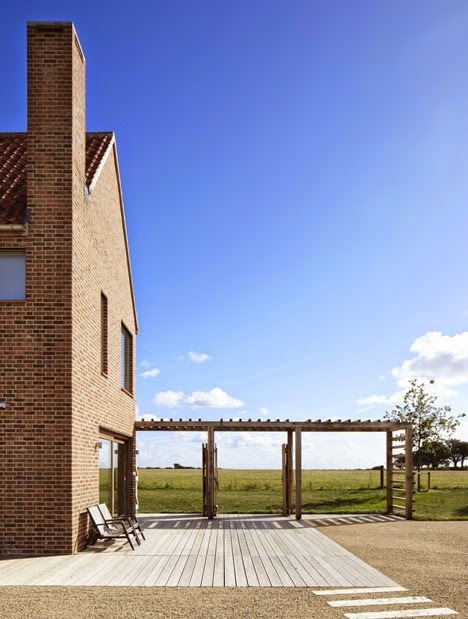 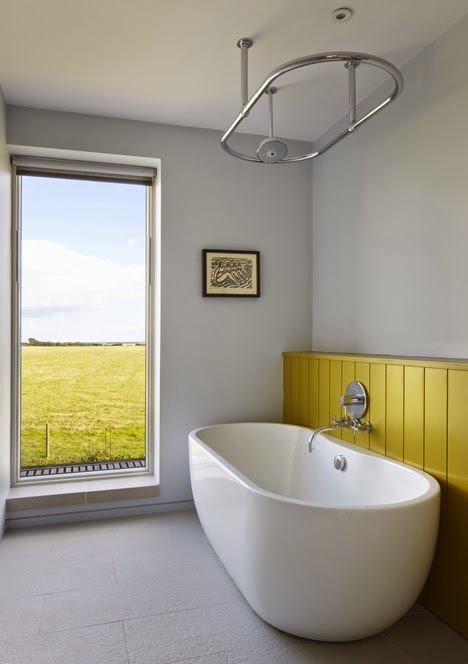 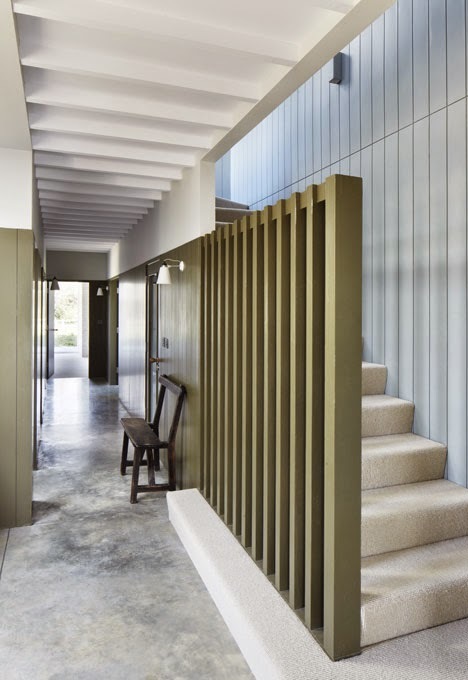 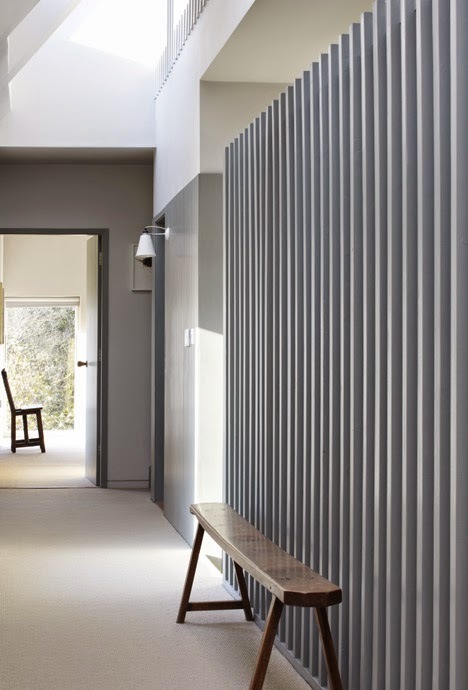 British architect Lucy Marston designed Long Farm house in rural Suffolk, England, to reference old English farmhouses. 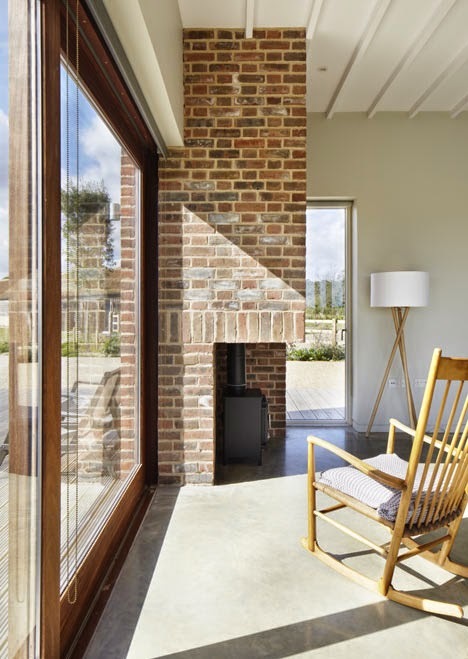 The family house has an almost archetypical barn form, featuring red brickwork, a steep pitched roof and a corner chimney. 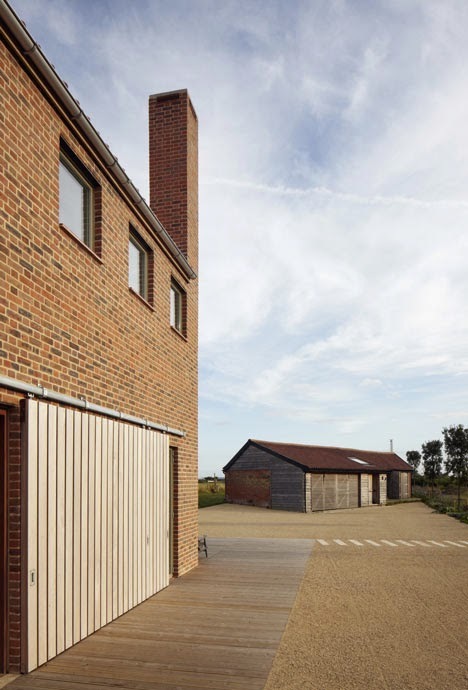 group of existing farm buildings, facing east across salt marshes, towards the sea. 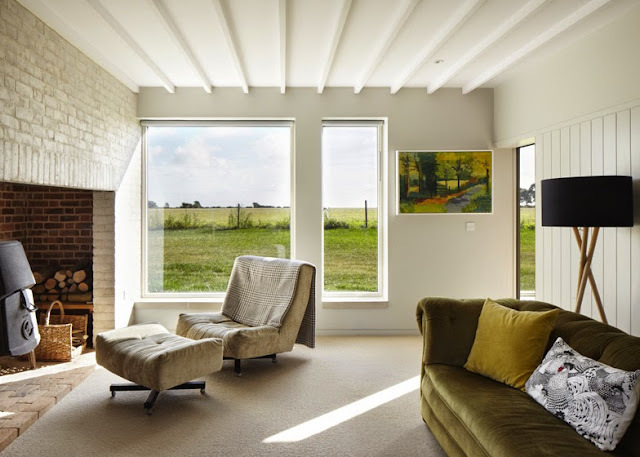 an identity that is firmly rooted in its locale. 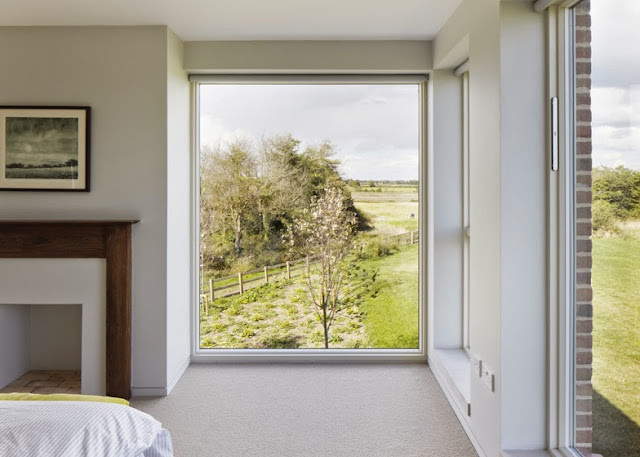 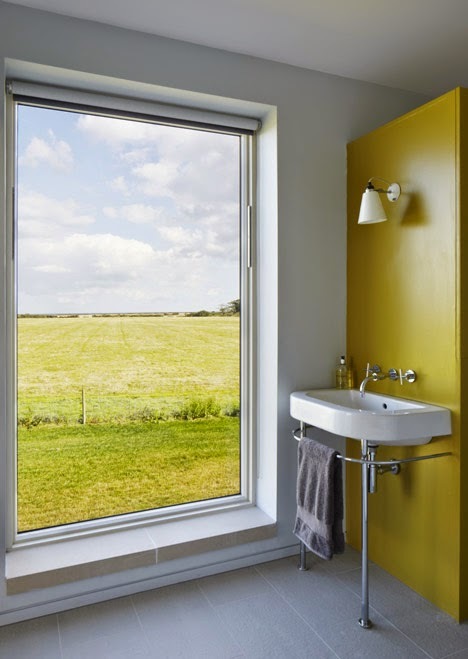 world outside, but balanced with the domestic desire for enclosure, privacy and warmth. 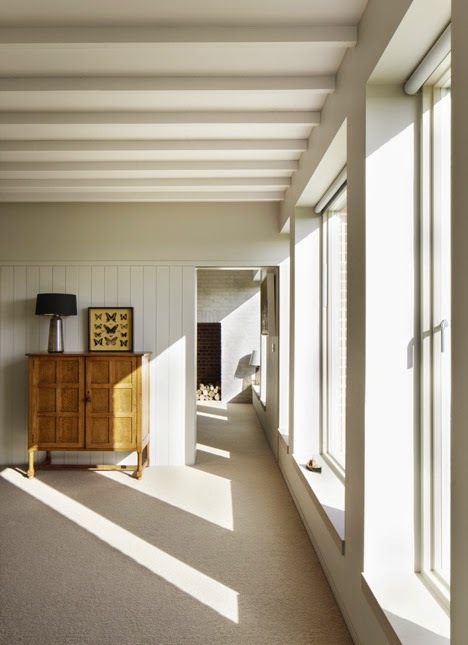 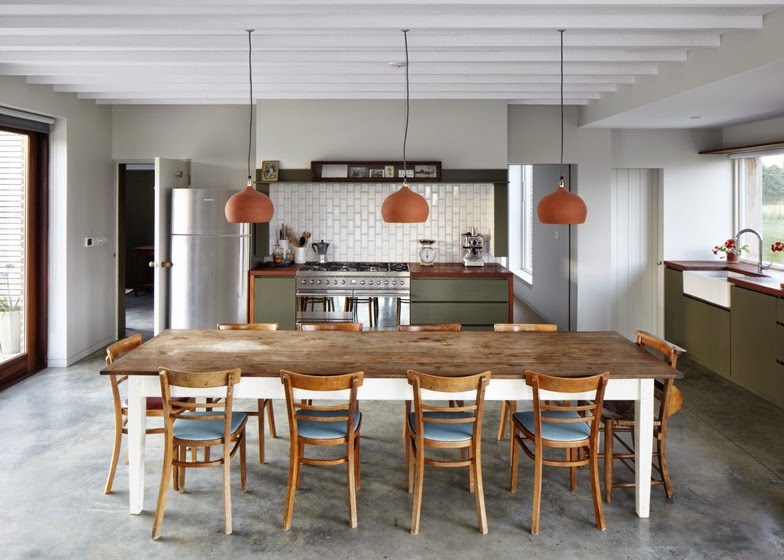 timber linings and exposed ceiling beams give depth and texture to the interior of a modern home.